The Creatives Project (TCP) is excited to host its 4th Annual Holiday Dinner! We will offer an elevated incarnation of TCP’s traditional “family potlucks” shared among the artist into a gourmet fundraiser directly benefiting our artists and the community to create an intimate dining experience. 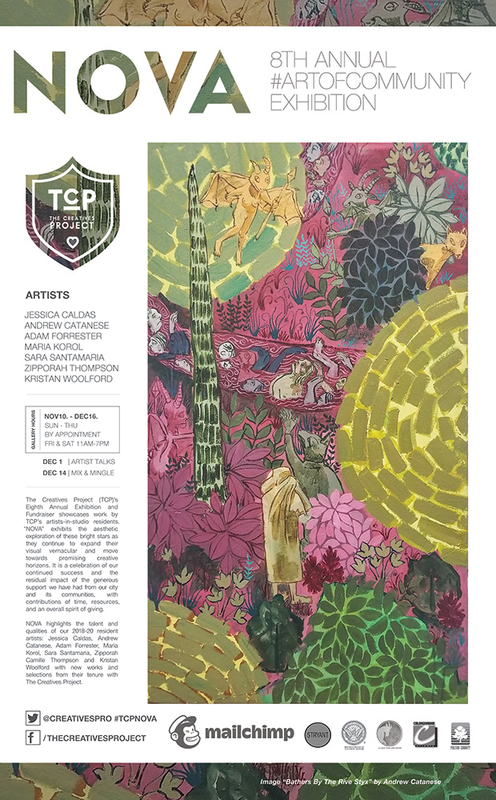 Guests will each receive an exclusive, limited edition fine art print created and signed by a current TCP artists-in-resident courtesy of Colorchrome.